Hereford Community farm was set up in 2007 to provide therapeutic land based activities for people of all ages and backgrounds who have mental health issues or who have physical or learning difficulties. In 2013 it moved to Warham Court, near Breinton, Hereford. 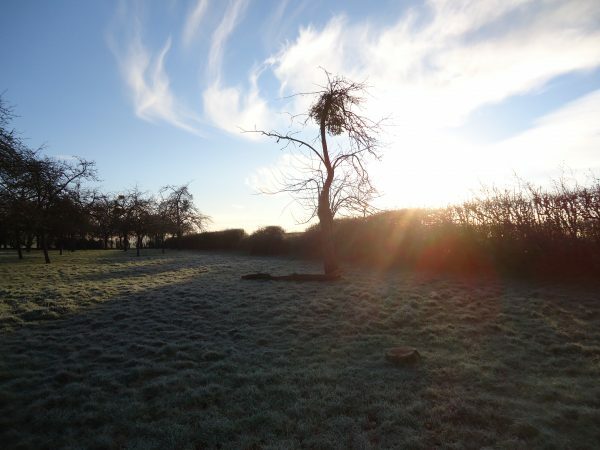 It’s orchard is part of our TCTOP project and Tim Dixon and volunteers from Colwall Orchard Group have been helping the staff, volunteers and farm clients to manage and restore it. The orchard is already being used for art and crafts. 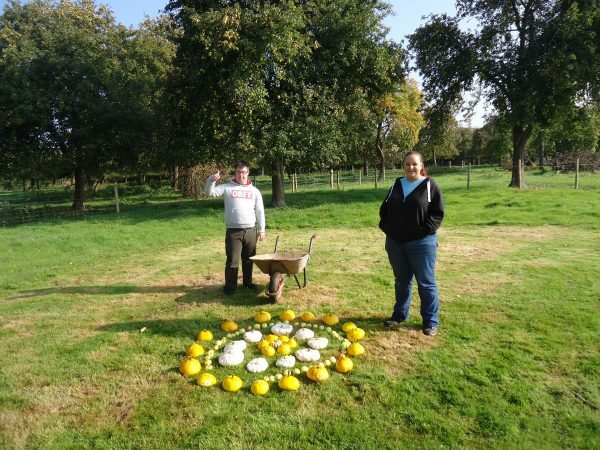 Here is an orchard artwork made from squashes grown in the veg beds, celebrating Autumn. A new trail has been made too, to allow people to get right into the orchards and enjoy them, even if they are in a wheelchair. The amazing sculptures students have made hide between the trees and in the long grass. 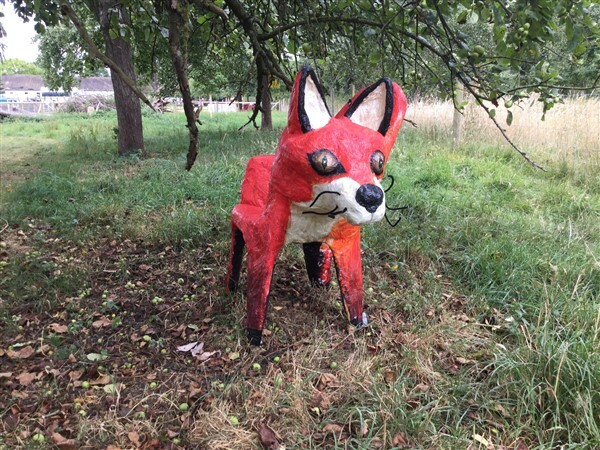 The orchard has already been celebrated in art by one of Hereford’s best known artists – Brian Hatton. He painted scenes around the farm before the Great War, including the orchards which are very little changed. In April 2017 there was a celebration of his work at the Courtyard Theatre, Hereford, and clients from the farm and students from the Hereford Art College showed the results of their collaboration. It was great to see the new art pieces hanging alongside Hatton’s fantastic work. If you come over to the farm you will be able to see that the orchard trees have been tagged so that we can identify the varieties being grown there, and a new boundary hedge is being planted – great for wildlife. We have also planted new trees to replace some of those which are missing, all of local varieties. 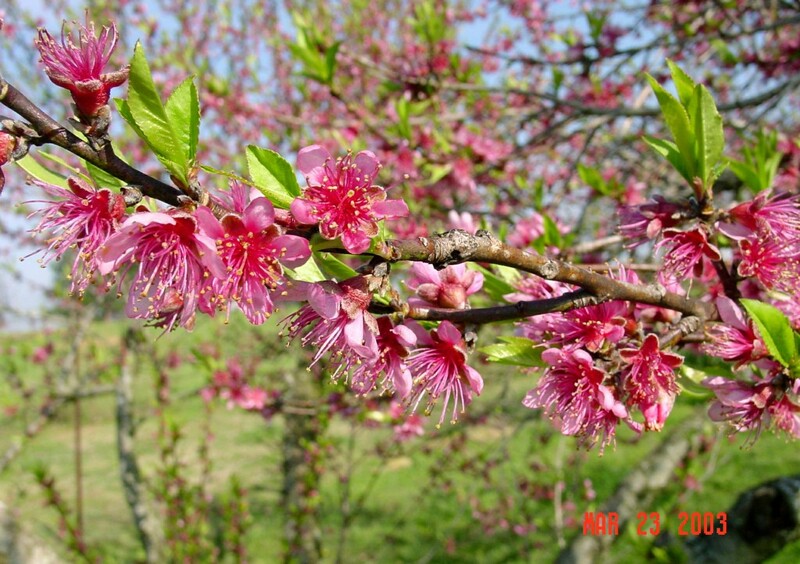 This new generation of fruit trees will make sure that the traditional orchards survive and thrive.